President Trump’s decision to pull the U.S. out of the Iran nuclear deal could impact gasoline prices. Motorists in Kansas, as well as drivers across the United States, could see higher prices at the gas pumps due in large part to the re-imposition of economic sanctions on Iran, warns AAA Kansas. 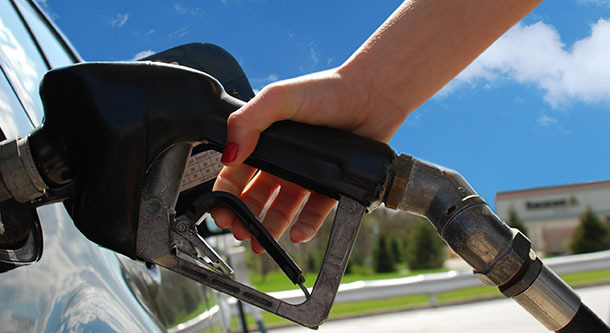 According to the agency, by summer Americans could see the national average price of a gallon of regular unleaded gasoline ranging from $2.80 to $3.00. The summer driving season is only 20 days away, and it runs along the bookend summer holiday weekends, from Memorial Day to Labor Day. Wednesday’s average gas price in Kansas is $2.58, up 12 cents in the past month. One year ago, gas cost $2.18/gallon on average across the Sunflower State. Motorists are already seeing much higher gas prices. Currently at $2.81, today’s national average is the highest since 2014. However, most motorists might not see any immediate impacts at the gas station. It can takes weeks, sometimes months, for the market increase to translate over to retail prices. The retail increase will be dependent on how expensive crude oil price goes and the duration at which crude sells at the higher price point in the market. On one hand, if in the end crude oil remains at $68-$70/ a barrel (bbl. ), prices will not be that much more expensive this summer than they are now. On the other hand, if crude sells for $70+/bbl. for an extended amount of time, the national average could hit $3/gallon this summer. Spending more on gasoline concerns consumers because it reduces savings and spending for everything else we need, notes AAA Kansas.